Hello, everyone. For my next few articles I’m going to introduce you to a few people in the area and talk about their approaches to exercise and general well being. Today we’ll talk to Paul Southern. Paul owns Re-Active/CrossFit Pleasanton. He started as a coach 12 years ago after leaving the Marine Corps where he was a Fleet Marine Force Corpsman. He started coaching people in his garage and has since expanded to a 5,000 square foot coaching facility in Pleasanton. Mitch: Talk about your fitness philosophy. Paul: Someone that works out and strives to eat nutrient dense food has made a decision that the good life is something that we create for ourselves. Fitness leads to a healthier body and most importantly a healthy mind. If there is turmoil and dysfunction there, a person will be unhappy. I encourage people to start going in the right direction. Eat well and workout to make the mind and body healthy. It’s a decision about how you want to live. Mitch: Talk about your gym, your coaches and the different things you offer. Paul: I have always believed in the power to change my circumstances. In order to do this, everyone needs to take responsibility for themselves. Re-Active gym is about creating a place and a community that is trying to move in the right direction. CrossFit is a group training program that aims to develop every aspect of an athlete, and we are all athletes: from our 8 year olds to our 73 year olds. We also work with athletic teams. Their coaches will work on their sport’s specific techniques but we want to make sure they can move right and are strong and conditioned. Our private training is for people that have specific goals or special needs that require them to work with a private trainer. I am constantly bombarded with applications for coaches. There are plenty of mediocre “trainers”. I’m looking for the best of the committed coaches. The first requirements are integrity and attitude and then we look at a coach’s skills. Just like the clients they work with, a coach in my facility is always growing and improving their skill level. For example, Jesse Burdick was presenting at a conference in L.A. and I asked if he would like to come work for me. 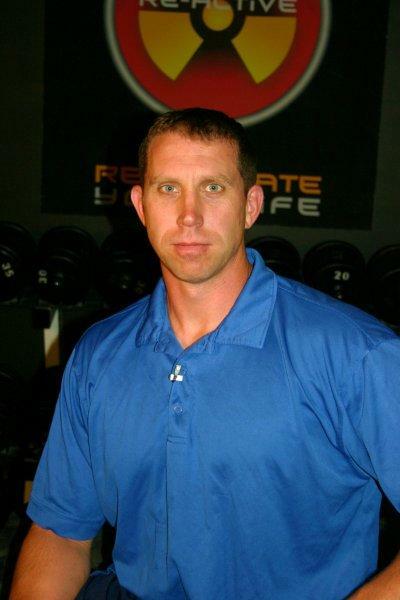 Harry Selkow is a coach and writer for EliteFTS (a top website on strength and conditioning). He moved to Pleasanton to be part of the team. Dan King was a coach at Bally’s that had outgrown the Globo Gym approach to fitness. Paul: Fitness is a way of life. We are designed for it. To ignore this simple fact is to live a less than optimal life. Live a full life and be fit. Also, don’t eat yellow snow. You can see more about Re-Active at their website www.ReactiveGym.com. Call him at 925-353-4894 to talk about the CrossFit training or if you’d like to talk about personal or small group training at Re-Active you can call me at 510-754-7113.